What do you know about African languages? Test and improve your knowledge with this quiz. How may languages, approximately, can be found in Africa? The Afro-Asiatic language family, which includes Arabic and Berber, is mostly represented in North Africa. What is the other name of this family? What is the main national language of Mali? What is the phonologic specificity of Khoisan languages, spoken in South-West Africa? They use whistling sounds as phonemes (a phoneme being "the smallest segmental unit of sound employed to form meaningful contrasts between utterances"). They use click consonants as phonemes (by clicking their tongue). They use hiccups (a bit like when Michael Jackson sings!) as phonemes. Where is Lingala spoken, mainly? In Namibia, South Africa and Botswana. In Republic of the Congo, Democratic Republic of the Congo and Central African Republic. A kind of urban slang used by young Senegalese people. An artificiel language aiming at easing communication, like Esperanto in Europe. A language derived from Dutch, spoken by Dutch settlers in South Africa. What is the official language of Benin? What African language (this doesn't include French or English) has the most learners as a second language? In what country are Amharic, Oromo and Somali spoken? What is the common feature of Swahili, Hausa, Lingala or Bambara? They are Bantu languages, from the Niger-Congo family. They are "lingua franca", used by people not sharing a mother tongue to communicate and trade. They are languages spoken in Nigeria. In how many African countries is French an official or co-official language? What is called the form of Arabic spoken in Morocco? Surinamese creole, also called Sranan Tongo, is an African language. Who sang a worldwide hit in Mandinka language back in the 80's? In what African country is spoken a language from the Western Malayo-Polynesian language family, which also includes Indonesian, Javanese or Malay? Guinea (Maninka - or Malinke language). There is an African Academy of Languages (ACALAN), aiming at developping and promoting the use of African languages in Africa. 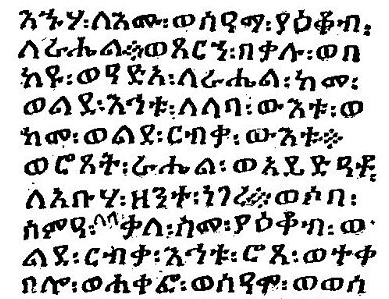 The Ge'ez script (for Ethiopian Semitic languages). The Mandaic alphabet (for Mandaic language). The Tifinagh alphabet (for Berber languages). How do you say "I love you" in Swahili ?